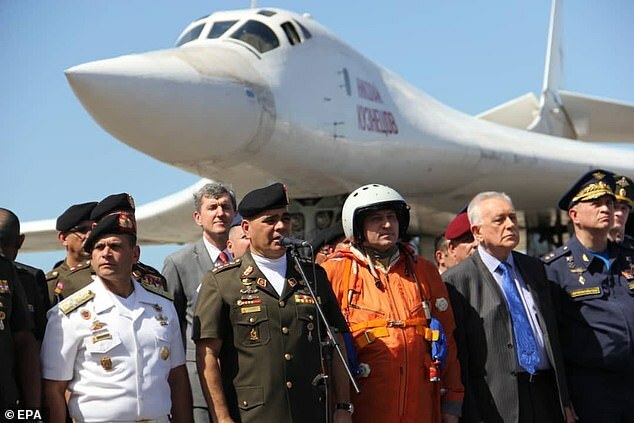 Only 3 days after two Russian TU-160 long-range bombers left Venezuela, after Russia declared they were not being “transferred” to Venezuela, Russia announced the creation of a Russian airbase in – Venezuela. Russia is sending the US a message after decades of complaining of US and NATO bases next to Russia, encroaching on them. Now Russia has a strategic presence in the Western hemisphere. Truthfully, I am surprised it is not in Cuba. Only Cuba knows, for sure, why it did not happen. Perhaps Russia did not learn the saying of not relieving oneself where you eat by abusing the Cubans? Russia has announced plans to set up its first ever military base in the Caribbean after striking a deal with cash-strapped Venezuela. The state-sponsored TASS news agency reported that Russian experts had selected the island of La Orchila, 125 miles northeast of Caracas, as a possible military base up to 10 years ago. 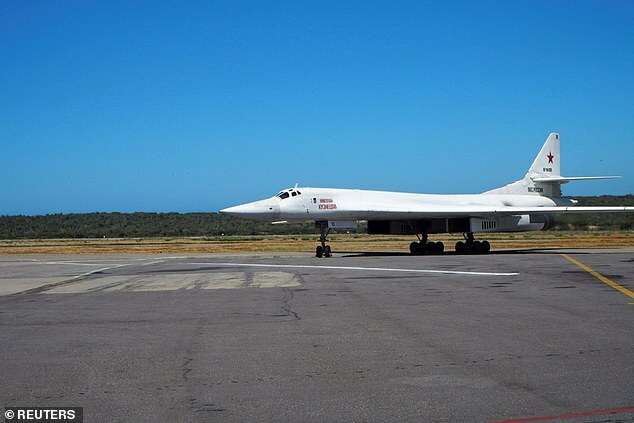 According to the agency, Russia will now be ‘deploying Tu-160 strategic aircraft to the island’, after seeking permission from Venezuelan leader Nicolas Maduro. The deployment will represent the one of the largest semi-permanent postings of Russian military hardware to the region since the Cuban Missile Crisis in 1962 – which marked the height of the Cold War. Venezuelan law reportedly prohibits a full-time military base from being set up within its borders. However, the deployment of supersonic Russian jets would be ‘temporary’ – according to official sources. 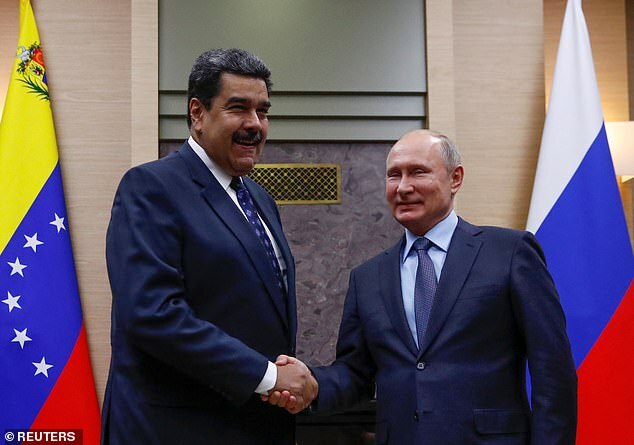 ‘It is the right idea to include Venezuela in long-range aviation missions,’ military expert Colonel Shamil Gareyev told the Russian newspaper Novaya Gozeta. ‘Our strategic bombers will not only not have to return to Russia every time, but also won’t perform aerial refueling while on a patrol mission in the Americas. 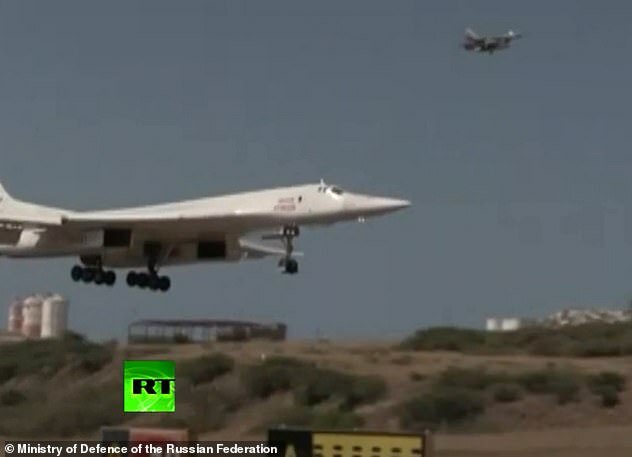 The news comes just days after two of Russia’s nuclear-capable Tu-160 strategic bombers flew over the Caribbean sea during a 10-hour training mission with the Venezuelan Air Force amid escalating tensions between Moscow and Washington. The flight of the jets was recorded on video, which Russia’s Ministry of Defense then proudly shared on YouTube. The planes, known in Russia as ‘White Swans’, arrived at Maiquetia airport outside Caracas last Monday after completing a 6,200-mile journey. ‘As for the idea that we are squandering money, we do not agree. It’s not really appropriate for a country half of whose defense budget could feed the whole of Africa to be making such statements,’ spokesman Dmitry Peskov told reporters. Hmmm. Maybe then it’s not appropriate for the Russians to be saying this with a third of their defense budget going toward a war in Ukraine. Oh wait – did I say that? ?